At first they will ask you why you're doing it. Later they will ask how you did it. "Wow! How long have you guys been here?" "This is a tucked away gem, isn't it? Have you been here for long?" Well, the answer to both is, yes! We have been tucked into the back corner of Industrial Ave for the past four, almost 5 years! 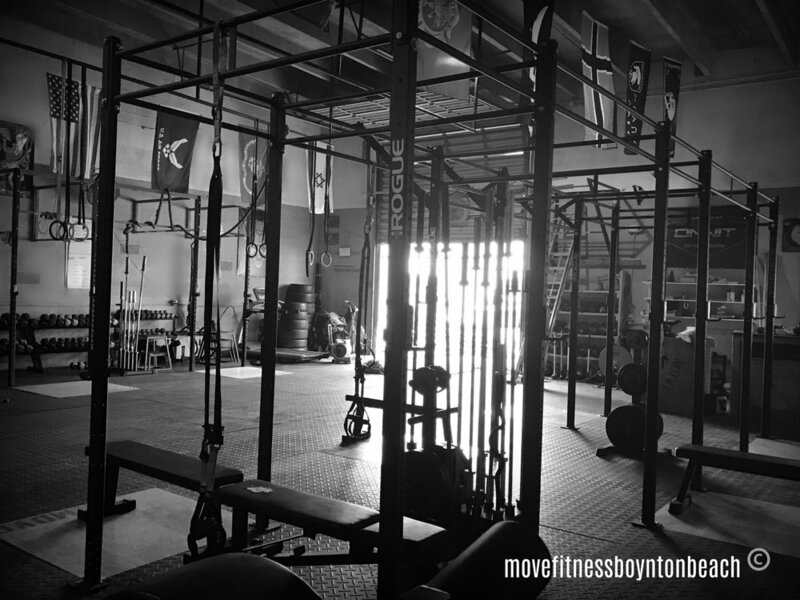 When we decided to open a gym we had a lot to consider. 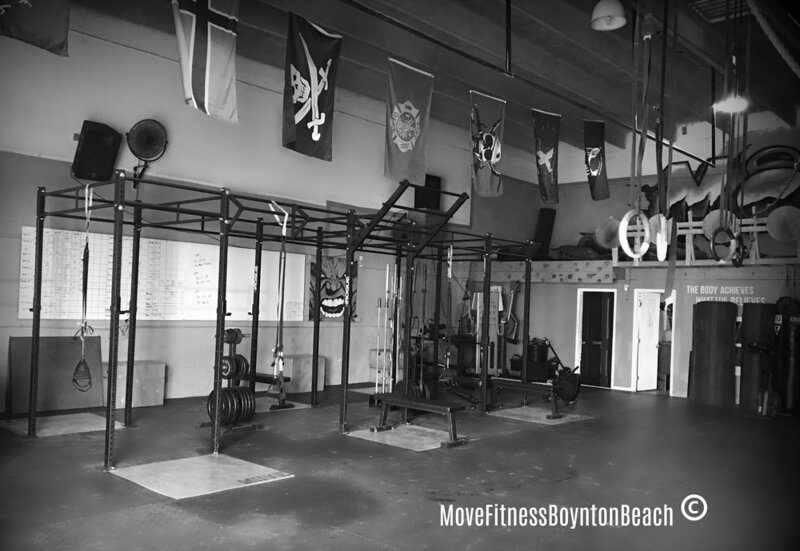 We wanted somewhere that was central in Boynton Beach, away from other gyms who may try to offer the same appeal as Move, somewhere that would allow our members to run a good distance in their workouts, with out being in traffic, And, truth be told- yes, we like being Boynton's best kept secret. You see, our gym is not for everyone. 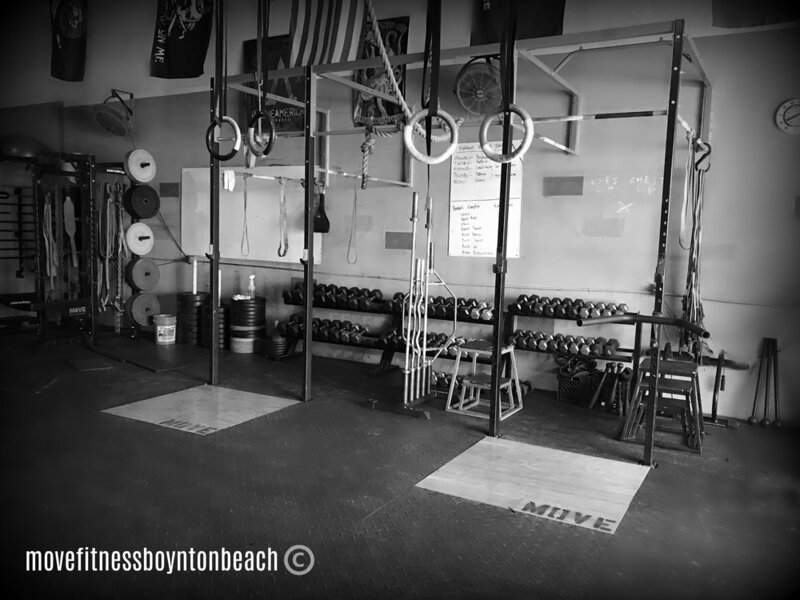 We do not consider ourselves a "pretty" gym! We are a 2500 sq ft open air facility, that does not use air conditioning. We pride ourselves on our equipment, and our tough workouts. We like to think that our members results speak for themselves. Once in awhile we will have a member return to a "normal" air conditioned facility, only to come back to tell us their muscles actually enjoy the heat and that no matter what, our work outs are second to none. Please, come try for yourself.